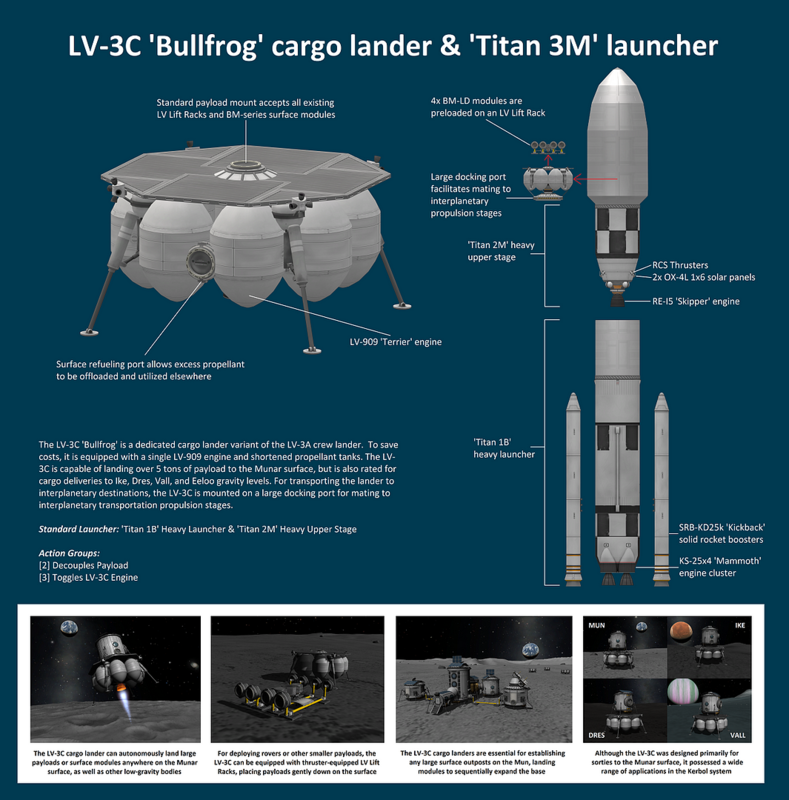 The LV-3C ‘Bullfrog’ is a dedicated cargo lander variant of the LV-3A crew lander. To save costs, it is equipped with a single LV-909 engine and shortened propellant tanks. The LV-3C is capable of landing over 5 tons of payload to the Munar surface, but is also rated for cargo deliveries to Ike, Dres, Vall, and Eeloo gravity levels. For transporting the lander to interplanetary destinations, the LV-3C is mounted on a large docking port for mating to interplanetary transportation propulsion stages.